Nice lamp from the sixties. 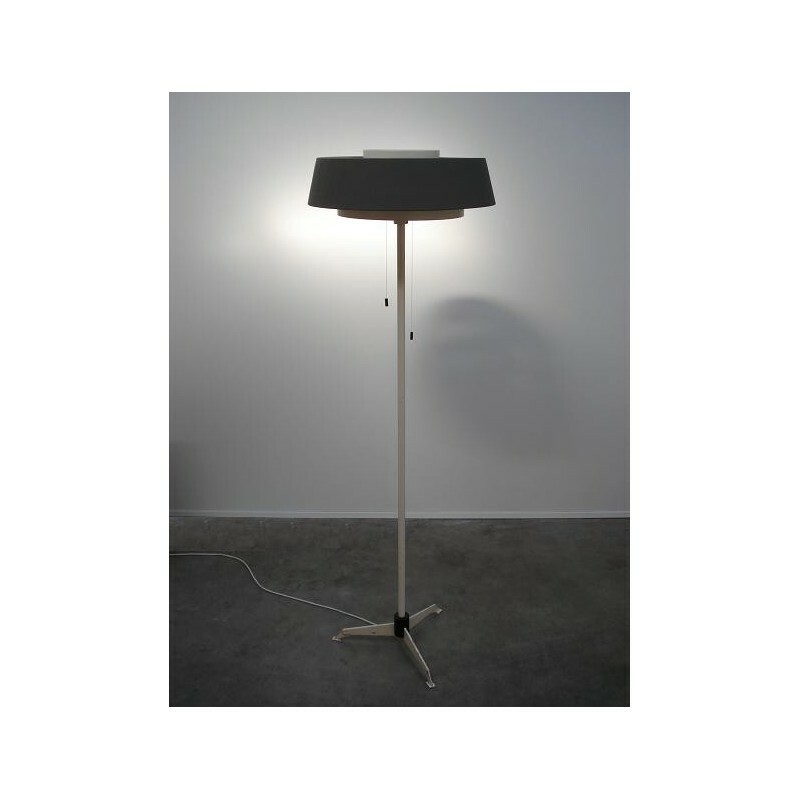 The metal lamp is produced by Hiemstra Evolux. The lamp is grey/white coloured. 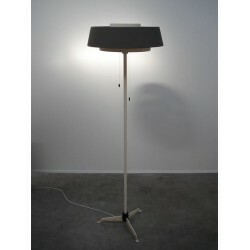 The lamp is in a good condition and the dimensions are: 160 cm high and 50 cm in dia meter.